West Overcliff Drive & Surrounds, Westbourne. 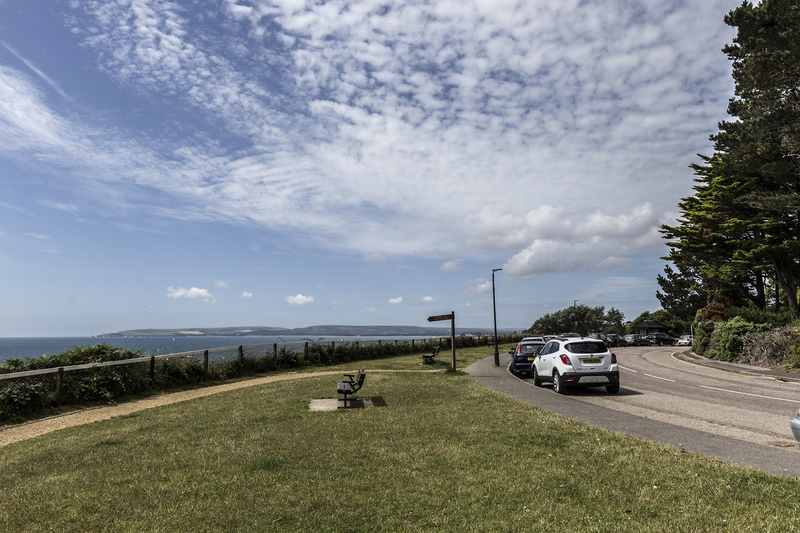 West Overcliff Drive runs along the cliff top between Durley Chine and Alum Chine. It loops round and over Middle Chine. It would appear that the eastern section is perhaps older than the western section, for a couple of reasons. Firstly, the eastern section loops back round to West Cliff Road. However, half way along Middle Chine, it crosses on a bridge. From the lie of the roads, this looks as though originally the bridge was part of the continuing McKinley Road.At the other end, the house numbers start at 5. As there are two houses between where it joins West Overcliff Drive and West Cliff Road by St Ambrose Church, the implication is that these two houses were originally numbered and therefore part of McKinley Road. There are some very large houses on these roads, which suggests that this part of Westbourne was a very desired area for the well-to-do Edwardians and Victorians as they set up their residences. Today, the views can be enjoyed from the open-top tour bus that operates along the road on its way to Sandbanks and Poole. Undoubtedly, the sea views before the trees matured would have been exceptional. Access to the beaches via the three chines in the area would also have been easy. Now, of course, many of these villas have been either sub-divided into flats. A small number have been replaced by purpose-built blocks. Milner Road, a cul-de-sac, has some very exclusive properties, which would have been the prime location at the time. On the western loop of West Overcliff Drive, just south of Milner Road, is Argyll Gardens. Originally planted in 1903, including a public convenience, they soon acquired a bowling green and croquet lawn. A pavilion extension was added in 1913, by which time the croquet lawn was replaced by tennis courts. These, in turn, were replaced by an additional bowling green. A new pavilion was built in 1980, which includes a public café. Slightly to the west, on the opposite side of the road, is Alum Chine Tropical Gardens. The top section includes a wild-flower area. There is seating for people to enjoy the viewpoint.